What to Do When You Mess Up? Have you ever messed up at work? Stumbled? Blundered? Bungled? Botched? Made an oversight, gaffe, or mistake, big or small? You’re not telling the truth, to others or, perhaps, just to yourself. You have a selective memory. You haven’t been paying attention. You have virtually no work experience. You need to be more creative and experimental. Own it. When you make an error, resist the temptation to pass the blame. Instead, take responsibility. When we own our mistakes, we’re more likely to earn and retain the respect of those around us. Moreover, it puts us in the best possible position to do something positive in response to the problem. Do not hide it. In politics, there’s a saying: “It’s not the crime, it’s the cover up.” The idea is that the cover up is usually more damaging than the trigger offense. It’s harder to fix a problem if you cover it up or simply pretend that there is not a problem at all. Furthermore, if people suspect you’re hiding something, they’ll apply that suspicion beyond the one instance. Honesty really is the best policy. Learn from it. When we learn from our mistakes, we’re far less likely to repeat the stumble. In some cases, learning from our missteps will allow us to improve our skills or our processes. In other words, if we look at mistakes as an opportunity to grow, our organizations and we can actually be better off than before the incident. Turn a negative into a positive. I like the expression, “When life gives you lemons, make lemonade.” We can often turn blunders around into something good. In 1928, Alexander Fleming slipped up. He mistakenly failed to cover a Petri dish containing a Staphylococcus culture. However, it’s a good thing he messed up. When he examined the exposed Petri dish, he observed that mold growth had impeded the spread of the bacteria. Fleming’s mistake, and subsequent observation, led to the use of penicillin as a life-saving antibiotic. In recent weeks, the news media have shared a couple of stories that nicely illustrate the points I’ve just made. Special Report: Do You Want to Talk with an Award-Winning Author? Have you ever read a book and wished you could talk directly with the author? Did you ever want to pick the brain of the author to get additional helpful ideas? Have you had questions about the material that you desired to explore more deeply? Were you ever curious about the author’s view of the future? Did you ever wonder what parts of the book the author felt were most important? Did you ever want to let the author know which parts of the book you particularly liked or which parts you disagreed with? Have you ever wanted to know if the author had acquired valuable, new information since writing the book? If you answered “Yes” to any of the above questions, I have a special opportunity that will interest you. I (Michael J. Rosen, CFRE) will be interviewed on The Nonprofit Coach Radio Show on Tuesday, February 26, 2013 at 12:00 PM (EST). 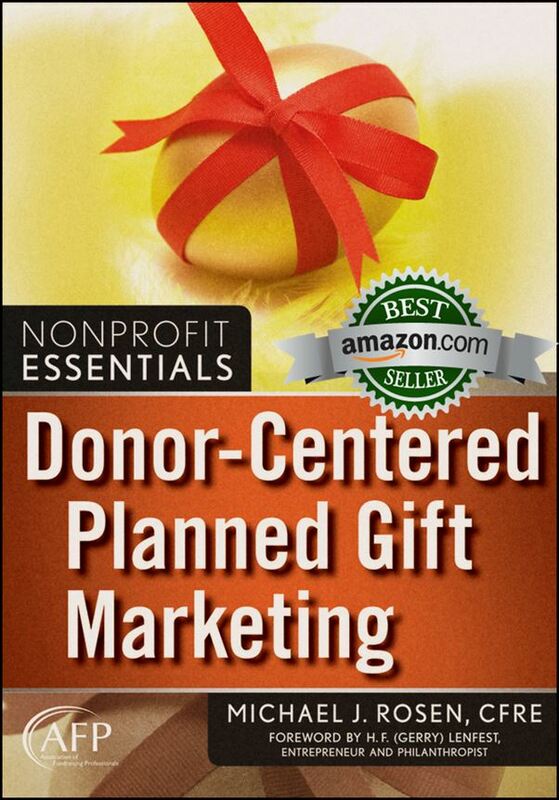 I wrote the bestselling book Donor-Centered Planned Gift Marketing, for which I won the AFP/Skystone Prize for Research in Fundraising and Philanthropy. The book is on the official CFRE International Resource Reading List. I’ll be discussing the book with host Ted Hart, ACFRE. We’ll also look at the challenges and opportunities presented by recent changes in government policy. During the program, listeners will have the opportunity to call in to ask questions. You can learn more about the broadcast and find the call-in number by clicking here. I invite you to listen to the show live and to participate by calling in to the program. If you’re unable to listen to the live show, you will be able to stream it after the broadcast. It happened recently to a prestigious private school. New York’s Dalton School inappropriately released private alumni information to its volunteer fundraisers. The New York Times reported the blunder that sent a shockwave through the School’s community and may have a chilling effect on fundraising. Do not let this happen to your organization. While volunteer and professional fundraisers must have useful information to effectively perform, organizations must protect sensitive items and keep them confidential. I’m going to provide you with eight tips that will help you keep your organization safe and your prospects and donors happy. It is common and acceptable practice for nonprofit organizations to share prospect and donor information with both volunteer and professional fundraisers. Such information often includes contact information, spouse or partner data, affiliation, giving history, volunteer involvement, event participation, and interests. Dalton ran into trouble when it disseminated information about whether the children of prospects applied for admission and were rejected by the School. While I applaud Dalton for reviewing its data protocols after the inappropriate release of private information, it would have been far better if it had had this review before a problem occurred. You now have that opportunity. Before a crisis happens at your organization, take the time to review your organization’s own prospect research and information sharing protocols. 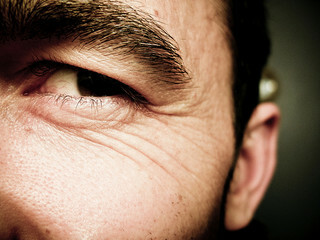 When visiting prospects and donors, it is essential to listen carefully. 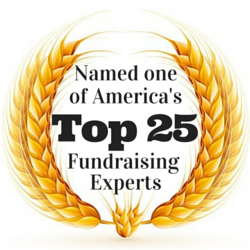 You will want to learn about their philanthropic aspirations and legacy hopes. Listening to your prospect or donor rather than simply pitching your organization is a big part of what donor-centered fundraising is about. Last week, I wrote about the importance of gett ing out and visiting prospects and donors (“Want to Know the Secret to Raising More Money in 2013?“). Now, I want to suggest that while we should certainly listen with our ears during those visits, we should also “listen” with our eyes. We often see without really perceiving. It’s one reason why criminologists tell us that eyewitness reports can be highly inaccurate. By paying attention to what we are seeing, we can act appropriately on the information we gather. 1. Observe the other person’s body language and respond accordingly. For example, if a prospect has his arms folded across his chest, he’s probably not comfortable with the general subject, something you’ve said, or the environment. Observing this will allow you to take corrective action rather than simply just pushing ahead. 2. Look for clues in the surroundings. You can learn a great deal about an individual by noticing the personal items in her office or home. These clues can help you better understand the person’s interests. The surroundings (i.e. : furnishings, artwork, the home itself) may help you estimate the person’s giving potential. 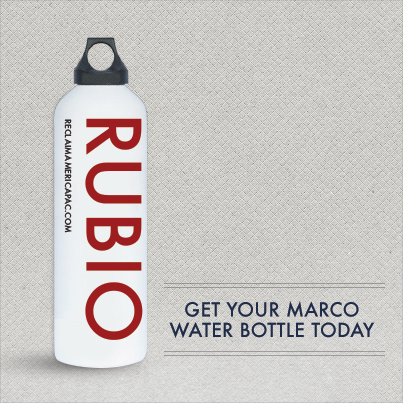 In addition, you’ll find that some items (i.e. : photos of children) make great and, sometimes, meaningful conversation starters. When meeting with someone, you’re not just there to talk and hear. You’re there to see. So, be sure to use your ears and your eyes. The best place to meet with a prospect or donor will usually be that person’s home. 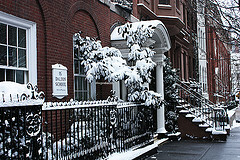 Generally, people will feel more comfortable in their own home than they would in your office. Sometimes, a donor or prospect may wish to meet at a restaurant. But, restaurants can be noisy, and having a private conversation can be awkward in a public setting. Want to Know the Secret to Raising More Money in 2013? Get out from behind your desk more often. I understand that it’s not always easy to schedule another conversation with a donor or prospect. There are meetings to attend, reports to write, vendors to meet with, staff members to supervise, budgets to review, etc. However, if you really want to raise more money, you will find a way to meet with more donors and prospective donors.